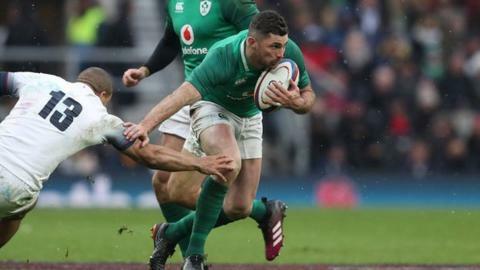 Ireland will play Six Nations rivals England, Wales and Italy in warm-up matches for the 2019 Rugby World Cup in Japan. Joe Schmidt's side will host Italy on 10 August before taking on England at Twickenham two weeks later. Back-to-back fixtures against Wales - in Cardiff and then Dublin - will complete Ireland's preparations. The 2018 Grand Slam winners begin their World Cup campaign against Scotland on 22 September. Hosts Japan are also in Group A, alongside Russia and Samoa. Ireland enjoyed a historic 2017-18 season which concluded with a 2-1 Test series victory in Australia. They will be hoping to carry their impressive form through the current season and into the World Cup, where they will attempt to advance beyond the quarter-final stage for the first time. Argentina ended Ireland's hopes in 2015 with a 43-20 win in Cardiff.